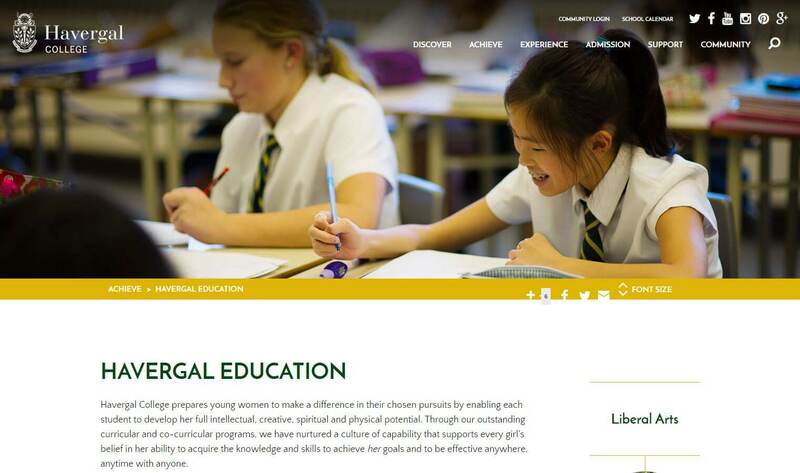 Havergal College is one of Canada’s pre-eminent independent schools for girls from Kindergarten to Grade 12, and respected around the world for its ability to prepare young women for achieving outstanding success in their lives, both academically and professionally. The school had three technical challenges: (1) present themselves with an engaging, contemporary web presence while respecting the traditions and rich tapestry of its 110+ year history & legacies; (2) provide a secure, collaborative, interactive on-line experience for students, faculty and parents – here and abroad; and (3) developing both platforms in parallel and launching together. The school had the option of hiring a dedicated, in-house team but the skillsets required to deliver such a huge project would require layers of specialized supervision and management that would consume much of the allotted budget. It was decided that the client would focus on developing the content for the site – copy, images and video and the design and development would be handed over to an outside partner, Digital Ink Technologies. Building on-line communities is another powerful expertise that DIT offers – the client had to integrate complex 3rd party security features that ensured only authorized users could get into the system and then control how students, teachers and parents interacted with information both individually and as members of various groups. 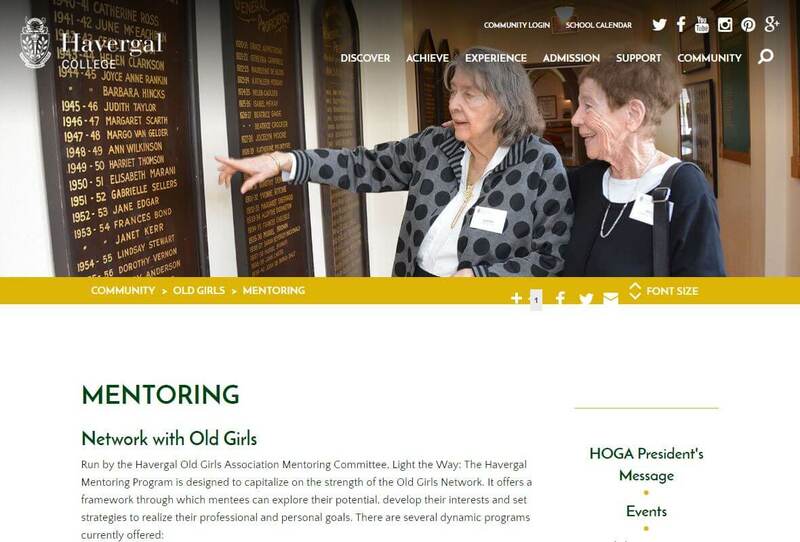 Then, a mentoring component was added that required additional security and privileges in terms of application work flow and allowing graduates (mentors) that weren’t part of the native security system to interact with current students (mentees). DIT was an experienced development partner for both national and international clients. It understands the perspective of a foreign “customer” and assisted in organizing and presenting information that inspired confidence and trust from abroad. Another advantage that DIT offers is that all of the work is done in-house – there’s no outsourcing. The client has only one point of contact for completing the entire job.